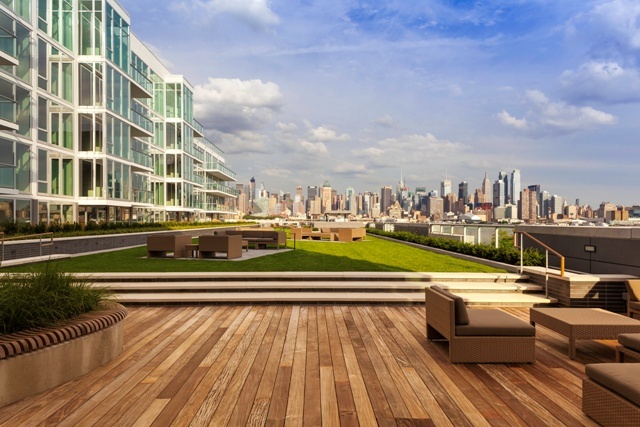 In the heart of Port Imperial, a two-mile stretch of Hudson River waterfront featuring shops, restaurants, parks and a riverfront promenade, lies The Avenue Collection, a new generation of chic condominium living that blends a modern, urban lifestyle with hotel-inspired amenities. With its sleek and contemporary design, The Avenue Collection delivers a decidedly more modern sensibility to the area. 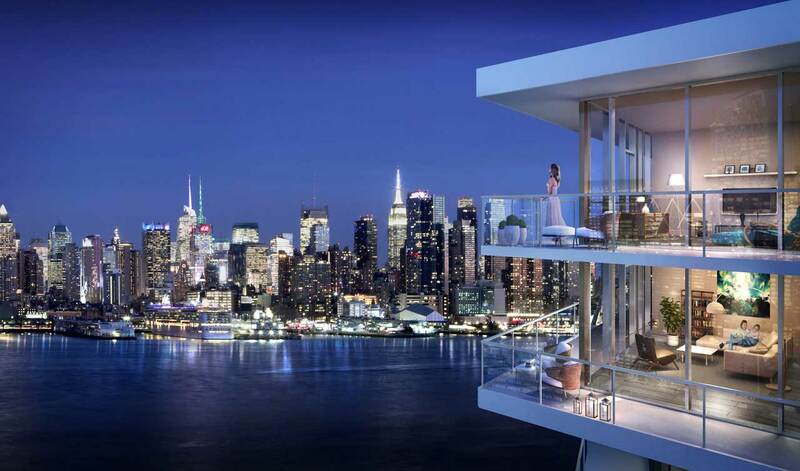 Five ultra-luxury condominium buildings comprising 669 total units will eventually be located on the prime waterfront site in Weehawken, NJ facing midtown Manhattan, where residents enjoy stunning skyline views stretching from The Freedom Tower to the George Washington Bridge. Launched to the public in August, 2013, the first building, the seven-story, 74-unit boutique 1000 Avenue at Port Imperial, is already more than 75 percent sold. Designed by Handel Architects, LLP of Manhattan, the building is distinguished by its all-glass facade with metal panel accents. Five new model residences designed by renowned Connecticut interior design firm Linda Ruderman Interiors and Manhattan-and-Miami-based Tui Pranich of Tui Lifestyle were unveiled recently, showcasing the building’s upscale living spaces. Units offer a variety of floor plans, including a three-bedroom, three-bath residence with a spacious out-door balcony and sweeping views of the Manhattan skyline, to two-bedroom homes offering northwest vistas, and a unique one-bedroom duplex with a den and private street entrance. Remaining residences at 1000 Avenue at Port Imperial include one-, two-, and three-bedroom floor plans ranging from 1,472 to 2,188 square-feet: priced from $900,000. Large windows, private balconies/terraces and a dramatic third-floor outdoor plaza provide residents with desirable open-air space while maximizing the property’s spectacular sweeping views.